Co-operatives and Mutuals Canada (CMC), a member of the Canadian CED Network, welcomes the April 5 news release from Innovation, Science and Economic Development (ISED) in which they have unveiled some details of their plan to support the co-operative and mutual sector in Canada. 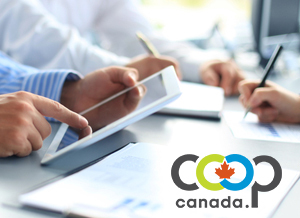 ISED states that their plan will "strengthen the role co-operatives play in Canada’s success." "CMC looks forward to working with and supporting the government on these strategic directions and will offer policy recommendations that support the government's stated objectives of an innovative, inclusive economy," said CMC President Doug Potentier. "Our policy recommendations will reflect years of input from co-operative and mutual leaders in Canada." In particular, CMC will endeavour to make the government aware of co-operative innovations that are emerging in Canada and internationally. The opportunities for the Government of Canada to support the middle class and grow Canada's economy sustainably with co-operative solutions are robust, and proven. As locally owned entrepreneurial models, Governments at all levels need to be creating the optimal conditions for co-operatives to do what they do best; develop communities economically and socially with an inclusive business model. CMC Executive Director, Denyse Guy believes the timing is right to promote co-operatives and build awareness. "It is an ideal time for everyone to be paying attention to the potential of co-operative innovations. We see the challenges of precarious work, monopolization of platform data, energy transition, health and wellness services and business succession planning, and innovative solutions to these challenges are the next wave of co-operative growth in Canada. A lack of awareness about co-operatives is impeding that progress. Co-operatives are already creating a more innovative and inclusive economy, but there is lots of room to improve and accelerate the results."